Again this year, the RSOC is running a series of concours competitions at regional shows across the country to allow members to show off their cars, and be judged against the competition. This will follow the same principles as in previous years, which has evolved into several levels to cater for varying standards, rather than being model specific. Some of you may be put off by showing against trailered cars. Don’t worry, trailered cars are restricted to certain classes for that very reason. Also the Novice classes are only open to people and cars new to concours, so you have somewhere to start, with others who are in a similar position. All cars in the main will be judged on condition & cleanliness. When being judged prepare to be picked up on anything that isn’t in perfect condition and free from any type of dirt etc. In addition to the outside (bodywork & Wheels/Tyres) and engine bay, the interior is also a critical area that is judged, that it is easy to lose or gain points on. When preparing your car, its best to put yourself in the mind of the judge, and try and look at what you could be knocked down points on. There are several classes to cater for the range of vehicles, for 2019, these are defined as follows…. For those looking at showing for the first time, the usual suggestion would be to enter the relevant this to be showing with others that are still reasonably new to showing. Don’t worry about the underside of the car, as that isn’t even on the judging sheet! Cars in this class will not be judged in that much detail. However, if recent years are anything to go by, as the show season goes on, the judges end up having to get pickier in order to separate the cars! Similar to entry level, but in a lot more detail from day one, but still nothing underneath. This class includes the underside, also extra points are awarded for either how standard the car is. This class includes the underside, also extra points are awarded for either how modified the car is. Although each show can be treated as a single event in its own right with presentations for 1st and 2nd in each class, there is also a presentation at the end of the season. This is to award the 'gold cup's'. These are awarded for the car that has achieved the best results in each class during the season based on a points system. These 'gold cups' are presented at the same time as the sought after, 'overall gold cup' for the car that has had the best results irrespective of class. 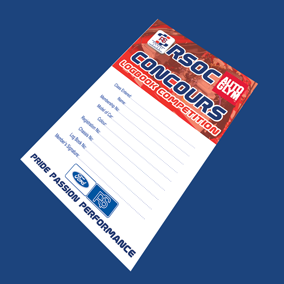 To show, and be legible for a gold cup, you will need to apply (either in advance, or on the day) for a concours log book. In essence this is a permit to show, that your results are recorded on from show to show. The log-book itself contains details of you and your RS, a copy of the rules, a list of shows during the season, and finally, inside, blank judging sheets, in order to give you a better idea of all the areas that you will be judged on. So for a season of 10 shows, only the best 6 results will go towards the gold cup, if you get to 6 wins, then you must have beaten the person in second place. 1st place at a regional day = 8 gold cup points, 2nd=6 points, 3rd=4, 4th=3, 5th=2 and 1 point for anywhere else. Once a car starts showing in a class, for consistency it should continue to show in that class at regional days until the end of the season. 4. Entry Level is only for people with 2 or less year’s concours experience. Persons that have won a gold cup in the past 5 years or cars that have won a gold cup in the past 3 years are excluded. 5. Trailered cars are only allowed in the Expert classes. Anyone who in found to trailer illegally will be banned for the season. If you think you will want to trailer to a regional day throughout the year, make sure you are in a class that permits it. There is nothing saying in Expert that you have to trailer, but if you want to you can, unlike the other classes. In the event of a tie for gold cups, (or the overall gold cup) a countback on judging sheet points will be used. See rule 6. It might be that 2 cars both do 3 shows each, so both have 3 wins. In this case the points scored will be taken into account. 8. No car may win car of the show on 2 consecutive log book events. 9. Unless otherwise stated, Judging will commence at 12 noon at every regional show. The only cleaning permitted after this time will be for the removal of dust / rain water etc. from exposed areas of the car in order to maintain the standard it was when judging commenced. Just because someone is judged first (or last) does not mean that they should have more preparation time to get their car ready. 10. Wheels may not be changed in Novice or Intermediate class at the show. While changing wheels and tyres is understandable in certain cases, e.g. standard cars, still running on original tyres, the Novice and Intermediate classes there for persons whose cars are still used. 11. 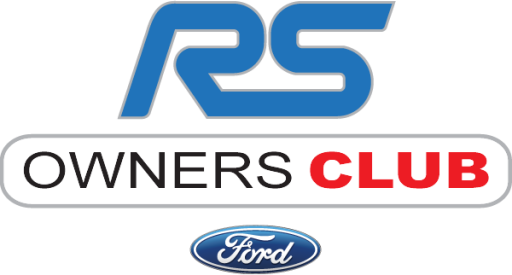 The person showing the car must be one of the 2 RSOC members stated on the log book, one of which will must have the RS registered to their membership. 12. The Category an RS is shown may be overridden by the concours coordinator at the first event it shows at.